Adjust your travel plans accordingly. MattyCollector has announced that a scheduling conflict will prevent them from attending New York Comic-Con 2014. Hey Matty Fans! A quick update… due to scheduling conflicts we regret we’ll be unable to attend NYCC this fall. In light of this change, we’re going to be bringing the quota of Goat Man allocated for NY to SDCC this year. Hope to see as many of you as possible in San Diego! If you were looking to grab a Goat Man at NYCC, it might be best to find a friend attending San Diego Comic-Con to grab you one there. We’ve already revealed that in 2014 Goat Man™ is arriving with Stratos’ Staff of Avion, and as we get ready to gear up for some serious accessory action in 2014, we’ve got another special sneak peek at a long-awaited accessory that’s coming next year! As you know, the 2014 lineup will not only contain figures you’ve been waiting for, it’s also going to have some of the most-wanted accessories that fans are demanding. While we can’t reveal which figure will come with this particular sword, we can say that it will be included somewhere in the 2014 lineup. 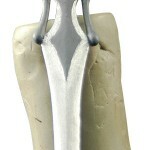 And we can also tell you the figure it comes with will not necessarily be connected to this sword. We’re doing this because we really want to make sure that over the next two years we give you the awesome accessories you’ve been demanding at the same time we give you the figures that will wrap up your Classics collection. Ready to raise the sword for MOTUC 2014? Subscriptions are open until August 19 at 11:59pm PT, so sign up for a 2014 Club Eternia® subscription today and look for more great fan-demanded accessories all year long to complete your MOTUC collection!